The Comic Source PodcastsAll the episodes from The Top Cow Chronology and The Comic Source podcasts can be found here! The Comic Source on YouTubeNews, Reviews, Interviews and More! 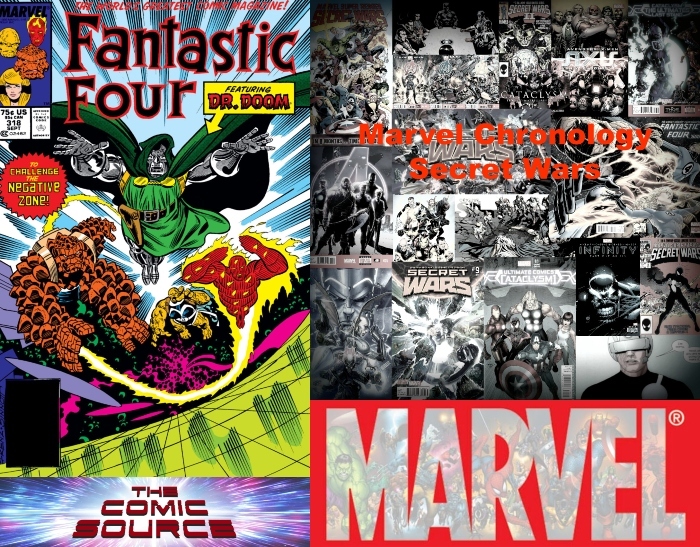 Jace continues the Marvel Chronology with a look at the the unofficial crossover event Secret Wars III. Writer – Steve Englehart, Breakdowns – Keith Pollard, Finishes – Joe Sinnot , Colorist – George Roussos, Letterer – John E. Workman Jr.